Power Supplies perform a necessary function in all types of electronic systems, providing the desired voltage and current to power an electrical load. The two most general categories of Power Supplies are AC/DC Converters and DC/DC Converters. Most electronic systems and subsystems run on a DC voltage, so AC/DC Converters are required to convert the AC mains voltage into a DC voltage. Within a system design, often many different DC voltages are required, thus necessitating DC DC Converters within the design. In this category, we will also consider Rectifier Modules, IGBT Modules and Transistor Modules. 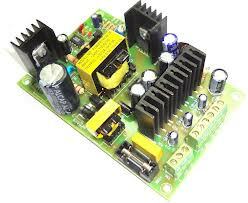 Power Supplies are used in one form or another in virtually all electronic system designs. In addition to providing a power source, Power Supplies often provide regulation or filtering to ensure delivery of a precise voltage or current to sensitive electronic components. In some cases, high-power IGBT Modules or Transistor Modules or Rectifier Diode Modules are employed where switching or rectification of high voltages and high currents is required. Major manufacturers of Power Supplies and IGBT Modules include ABB Semiconductors, Astec Power, Cincon Electronics, Eupec, Fuji Electric, Hitachi Power Semiconductors, Lambda Electronics, Mean Well Enterprises, Mitsubishi Semiconductor, Toshiba Semiconductor and Vicor Corporation. Procure International offers both current production and obsolete Power Supplies from most of the world’s manufacturers at very competitive prices and short lead times. Search for the Power Supplies and IGBT Modules you need using the Part Number Search bar at the top of this page, submit your RFQ to get pricing, and place your order directly online using our secure online ordering process.